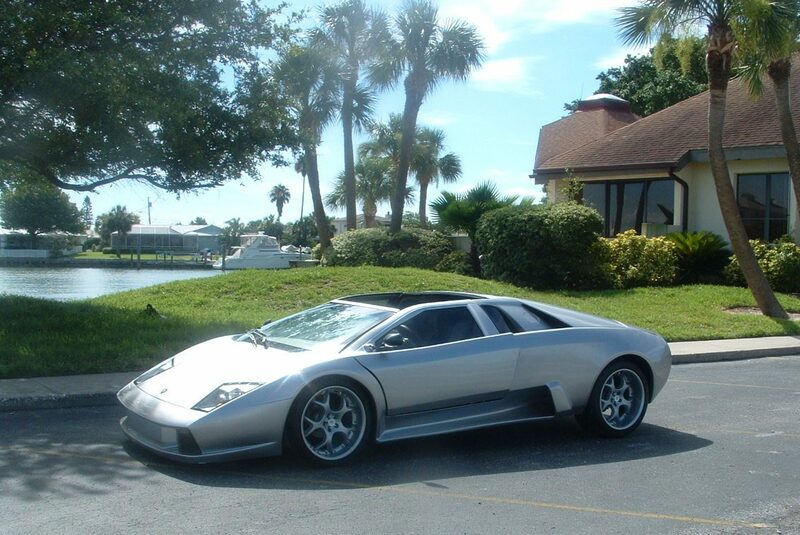 SOLD: 2005 Lamborghini Murcielago Replica. 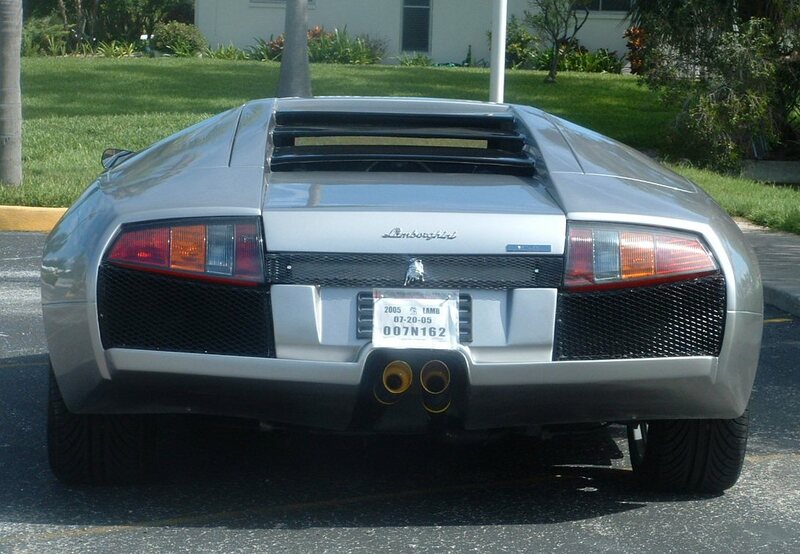 Professionally Built Customized 2005 Lamborghini Murcielago Replica Car Model Convertible has removable top. Custom exterior body has Aquios Titanium Color for a sharp look. This customized kit car was built on a stretched Pontiac Fiero chassis with a 2.8 liter V-6 GT Block Motor, placed mid-ship, transverse with stock insulators. 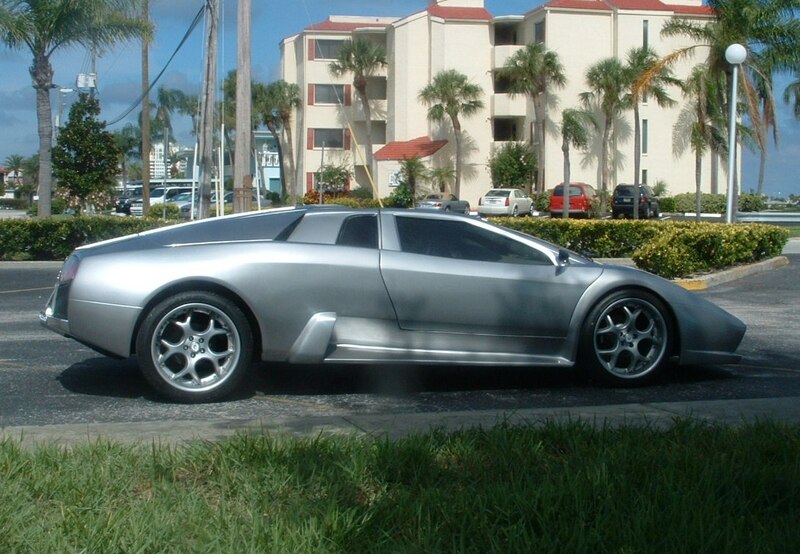 The power plant is a 2.8 liter all aluminum V-6 GT, 190 BHP Fuel injected motor. The motor is backed by a 3 speed automatic (unisex friendly) in its stock location as a transaxle with CV joints. The transaxle is an LSD unit (Limited Slip Differential). Has stock exhaust with after-market Monza tips. The chassis components consist of stock GM upper and lower control arms, with coil springs & shocks, power disc brakes and power rack and pinion with OEM style anti-sway bar. The rear part of the chassis consist of the stock bulk heads and strut towers. OEM style tower control arms with struts and coils, anti-sway bar and disc brakes. 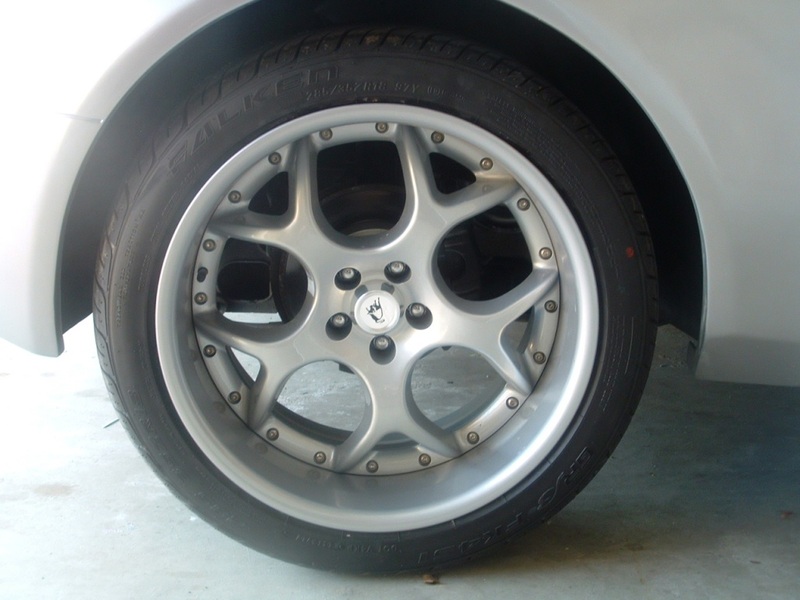 The car is well balanced, with standard correct wheel base and stance based on specs of original model . 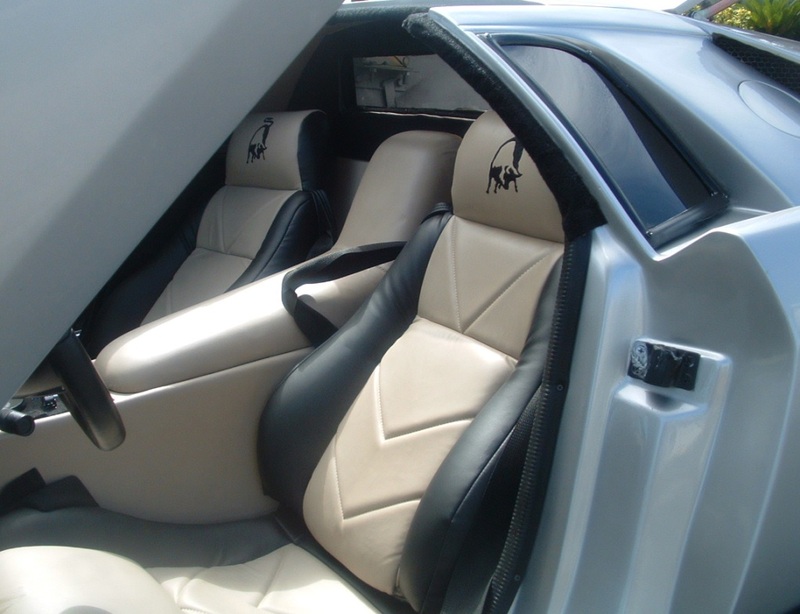 The well appointed leather interior has trademark Lamborghini Bull embroidered customized two toned black with taupe leather seats/headrests and with Lamborghini Bull floor mats. Manual controlled seats. 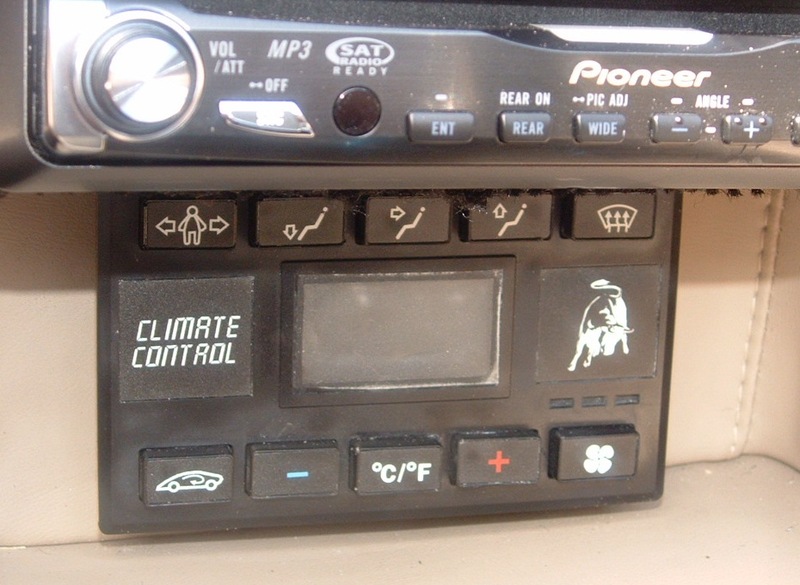 Console shift car, no paddle shifters. Has tilt column with sport wheel power steering, power brakes, am/fm CD/DVD player with Panasonic Rear View Camera for backing up all in one. 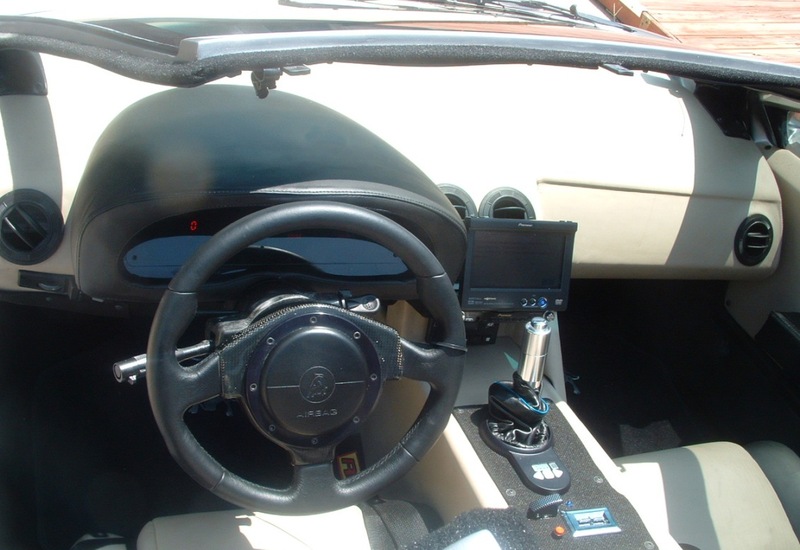 Surrounded by DOT approved windshield and smoked acrylic power side glass with remote keyless entry and Viper alarm system. LCD digital dash 6 gauges displaying the notations of speed/tech/oil/water/fuel/voltmeter. The Body is made from hand laid woven fiberglass with a gel coat finish. 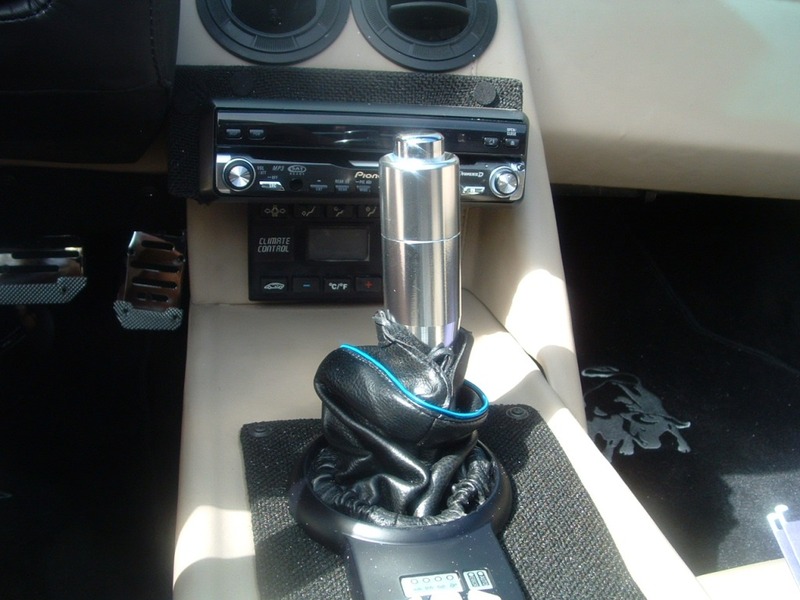 The color is base coat with clear coat Aquios Titanium mixed with sand pearl with Black and Taupe leather interior. 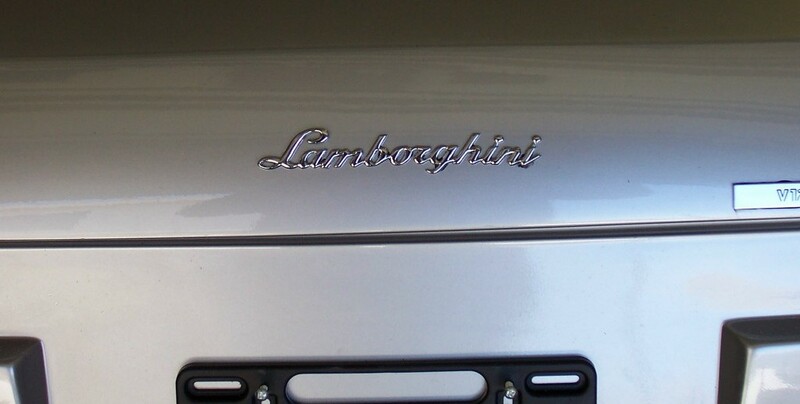 The doors are trademarked Lamborghini scissors style (2005 is the last model year opening in this fashion). Classic carbon fiber G-series side mirrors also dress it well. 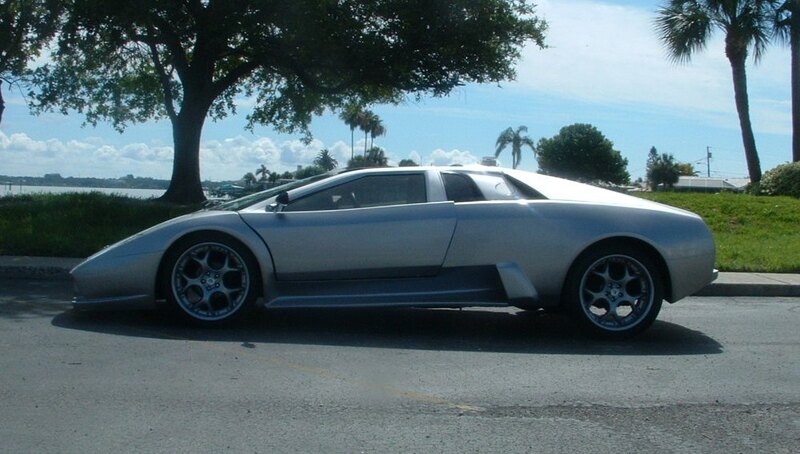 The Rim and Tire combo speak for themselves adorned by authentic Lamborghini emblems and trim plates with authentic Lamborghini tail/head lights to finish off the body. 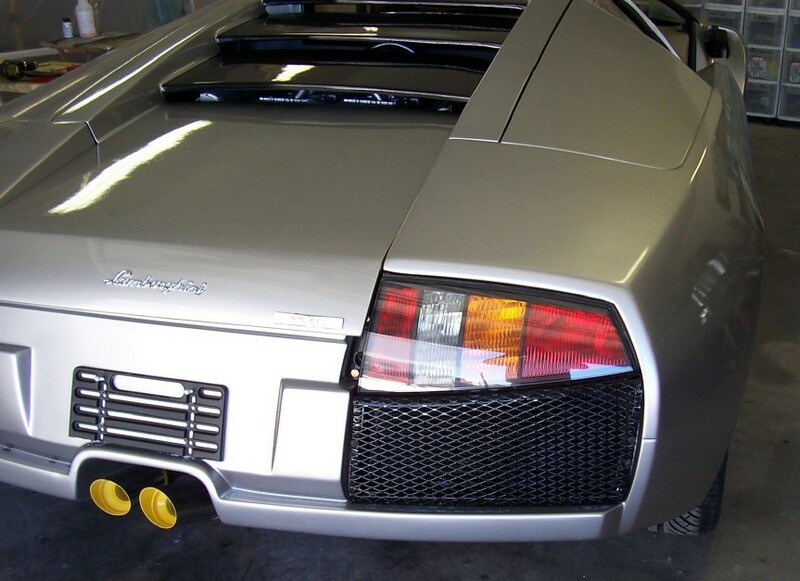 If you look closely you'll see that The Rear lights on this replica are actually real Lamborghini Murcielago lights ordered from Italy.. Street legal and ready for the right owner to customize further and enjoy! D.O.T. Level II AND III inspected and stated valued assessment of 75k! Less than 25 Miles on the car! 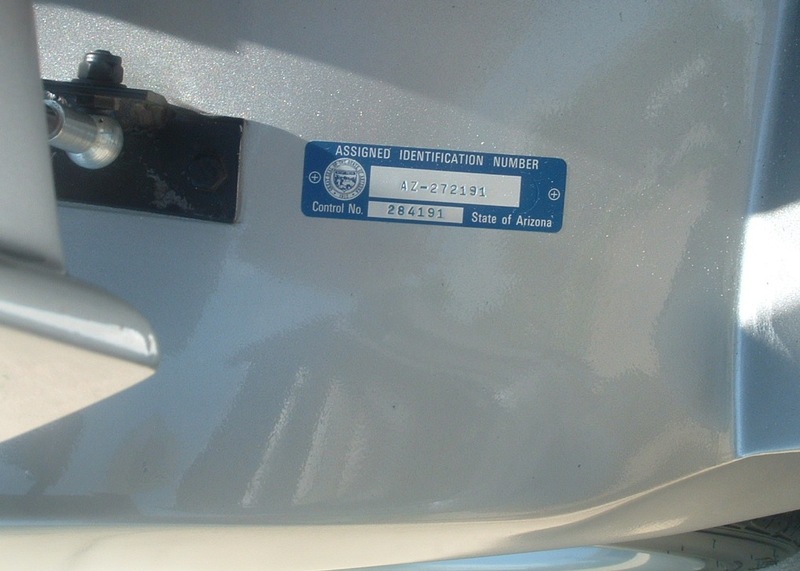 The car over all is in very good condition, but has some very minor blemishes that can be easily addressed with minor additions and corrections to perfect the car. The C-pillar flaps are not functional, the storage hatch holders need tweaking , much of the trim needs to be perfected, and the potential to be more like the Roadster model is possible if change was made to the roofline rather than hard top with removable roof as it now sits. Suspension was recently adjusted higher, but can be customized to your specs. This is a unique car and is perfect for the project kit builder to take it to the next level. This information may not be reproduced or transmitted in any form by any means, electronic or mechanical, including photocopying, recording, or by any information storage or retrieval system without permission. The publisher makes no warranty, either expressed or implied, as to the accuracy, effectiveness, or completeness of this material and assumes no liability for damages, either incidental or consequential, that may result from the use of this information. Copyright© 1999-present Fred Nelson Fabrication Azusa California. All rights reserved.